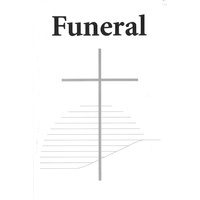 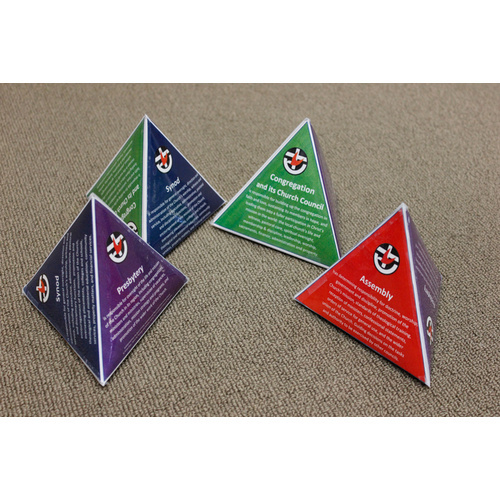 This digital download can be printed as an A3 or A4 page, then cut, folded and taped to create a small three-dimensional pyramid as shown in the photo. 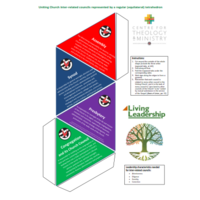 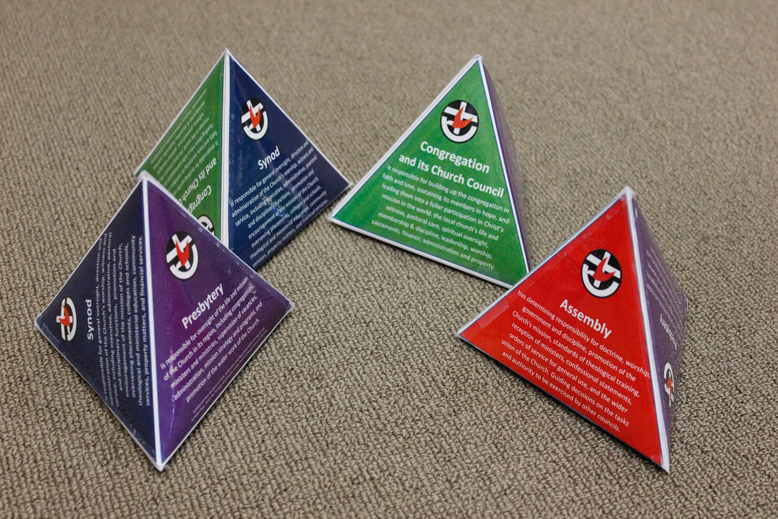 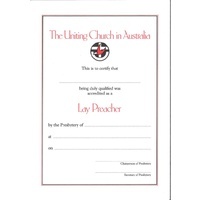 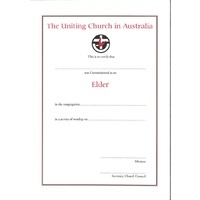 The inter-related councils of the Uniting Church can be represented by a triangular pyramid (equilateral tetrahedron). 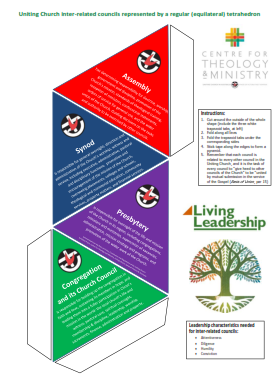 All images or models have their limitations, but this shape ensures that no single council is ‘on top’ without the whole thing falling over. 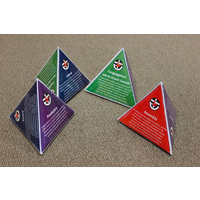 The four faces of the pyramid list the roles and responsibilities of each council, and represent the relationship of each council to the other councils. 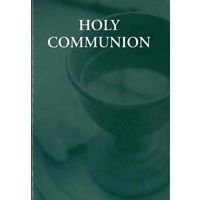 When a decision is to be made by one council, the perspectives and responsibilities of each other council are to be considered too, for no council is an island and all councils serve Christ. 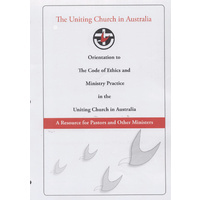 The Congregation and its Church Council appear on one face because although a formal meeting of the Congregation does constitute a council, the regular gatherings of a local congregation rely on the regular meetings of its Church Council to enact and oversee its recognised responsibilities.